Heard of antioxidants? These bad boys protect you against the oxidative stress which damages your cells and causes cancer. For those who are trying to get pregnant, antioxidants can also give you a powerful boost in your fertility. And, yes, almonds are a great source of antioxidants. Case in point: a study conducted with 60 men showed that consuming 84 grams of almonds per day reduced their oxidative stress levels by 23% over 4 weeks. That’s pretty impressive! Been eating too much junk, resulting in your cholesterol spiking? Unless you want to get heart disease, you need to address this problem and fix it ASAP. Almonds to the rescue! 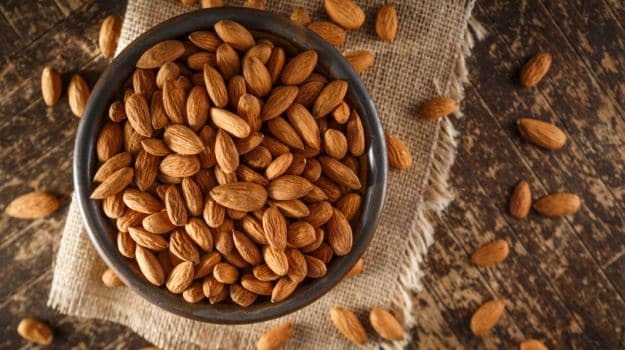 A study involving 65 pre-diabetic subjects showed that a diet which involved heavy consumption of almonds lowered their LDL cholesterol (that’s the ‘bad’ cholesterol) levels by a whopping 12.4 mg/dL. Pretty amazing, huh? Good news for everyone trying to diet - because almonds are high in protein and fiber, a small amount goes a long way. Basically, almonds satiate you more quickly, and you’ll end up consuming less food, and having a reduced calorie intake. Many K pop girl groups are renowned for going on ‘almond diet plans’ in order to control their weight and maintain their svelte figures - and if it works for them, it should work for us too! Always coming down with strange tummy flus and stomach bugs? You’ll want to start incorporating more almonds in your diet, because their high fiber content gives them prebiotic properties that strengthen your gastrointestional tract. How this works, specifically, is that probiotics serve as food for the good bacteria in your intestinal tract. The goal is to have as much good bacteria as possible, and as little bad bacteria as possible, and by consuming almonds, you’re on the right track! No kidding! Almonds contain riboflavin and L-carnitine, two vitamins which have long been considered vital “brain nutrients”. These vitamins will increase brain activity, which helps you form new neural pathways, increase cognitive function, and decrease the possibility of Alzheimer’s. What does magnesium do? It’s involved in over 300 bodily processes, including blood sugar control. You need to get your recommended 310-420 mg of magnesium per day, in order to stay healthy and make sure everything is functioning properly. One way you can do that? Eat almonds! Just 56 grams of almonds provide you with approximately half of your required dosage of magnesium - and you can supplement the rest through other food. Pro-tip: If you’re a type 2 diabetic, you’re highly likely to be deficient in magnesium. In order to lower your blood sugar levels and reduce insulin resistance, make sure you’re constantly snacking on almonds throughout the day. Almonds are so chock-full of benefits that consuming a small portion every day will do wonders for your health. However, for those who dislike the taste and/or texture of almonds, you can choose to get your dose of almonds in an alternative product such as Argan Almond Butter. When you’re consuming Argan Almond Butter, you’re not just getting the benefits from almonds, but also that of Argan Oil - so it’s actually twice as good for you. Now you know why we keep several jars stocked in our kitchen at all times!